The Oxford English Dictionary is just like other dictionaries in that it represents a kind of universal library of words. But it is unlike other English dictionaries in that it attempts to provide a biography for each word. The words are traced back to their earliest written sources, usually dating back to antiquity. The history of the English language is that it expanded by colonizing and appropriating many other languages from around the globe. Index cross-references the O.E.D with the notion of a geological core sample, which alters the architecture of the dictionary and makes it strange. Index looks at language in geological terms as though the dictionary was the source of meaning. 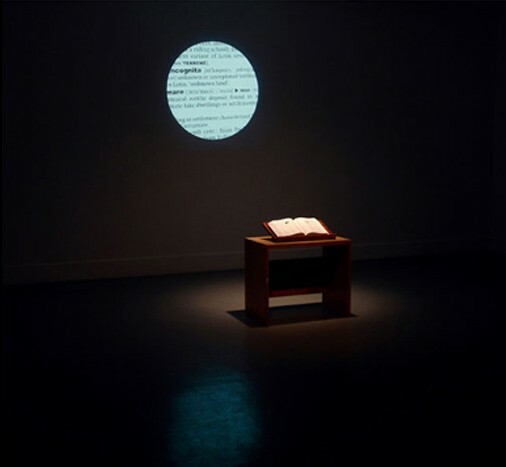 The result is a conceptual transgression that ruptures the empirical function of the dictionary and repositions it as an object under investigation.